Named after Oahu’s North Shore, Jazz Group The North will perform at 7:30 p.m. on Friday, January 17 at Orvis Auditorium and all are invited. 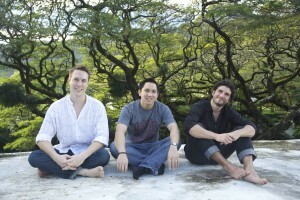 The North features Hawaii grown Bassist Shawn Conley and drummer Abe Lagrimas, Jr. with their friend pianist Romain Collin. Tickets are available that night at the event and are $12 general admission, $10 students and seniors and $5 for UH music majors. Meet Collins, Conley and Lagrimas at 6:30 at a pre-concert reception, where their debut album can be purchased. The concert will feature songs from their debut album and they will preview songs from the album they plan to record during this Hawaii visit. 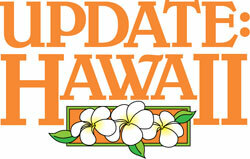 In many ways, Hawaii itself willed both the group and the album into being. Conley and Lagrimas Jr., longtime friends and Hawaii natives, met the France-born Collin on the mainland, where each was establishing a growing reputation as a resourceful instrumentalist. The pull of the islands was strong though, and the three friends, who were only playing together informally at the time, were invited to visit Hawaii for a 10-day series of public performances. The effect was as immediate as it was unexpected. “The chemistry between the three of us was striking,” says Collin, “and the audience felt it. By the time the tour was over, investors who heard us live and were moved by the music arranged for us to return the next year to play more shows and make an album. 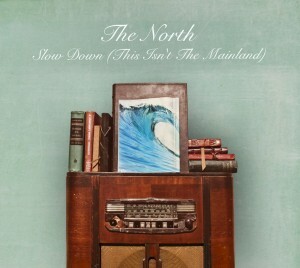 It was as much the overwhelming reaction of those who heard us play as it was our own musical empathy that made the band happen.” The North was born. Raised in Hawaii, drummer Lagrimas Jr. participated in celebrated music programs including Betty Carter’s Jazz Residency in Washington D.C., where he made his debut performance at the Kennedy Center For The Performing Arts. He later attended the Berklee College of Music. In addition to The North, he is also a member of the popular South Korean jazz group, Prelude, and has collaborated with a host of other musical artists including Eric Marienthal, Eric Reed, Bill Mays and Lalo Schifrin. Lagrimas Jr.is also a skilled vibraphonist and ukulele player with five solo albums and is an active educator with noted musical instruction books to his name. He now lives in Los Angeles. The bulk of the compositions on Slow Down (This Isn’t The Mainland) are by Collin and Conley, sturdy pieces that balance accessibility and invention. “We all listen to so many types of music,” Conley says, “and we want all of our influences to come out in our collective sound. But what is most important to us as a group is melody.” This adoration for clearly stated, embracing compositional form defines such persuasive performances as the undulating “Great Ocean Road,” the Iberian-tinged “Yann’s Flight” and the minimalist ballad, “Northern Dreams.” Interspersed among the originals are inspired group interpretations of Chick Corea’s “Humpty Dumpty,” Thelonious Monk’s classic, “Light Blue,” the singer-songwriter Christina Courtin’s “Join Us Jackson” and Bob Dylan’s anthemic “Blowin’ In the Wind,” each ingeniously reworked to capture both the singular flavor of the composition and the imaginative nature of the group. Instrumental prowess, while seamlessly interwoven into each piece, is never obscured. Collin’s fluidity, Conley’s supportive lines and impressive solo work and Lagrimas Jr.’s perfectly calibrated percussion skills lend the recording a vivacity that compliments its sparkling sheen.